For children, Christmas simply shows up each December with gifts, fun, and friends in tow. But as we get older, it can become a clutter of shopping, house guests, events, and expectations. Is your joy lost in the tangle of Christmas? 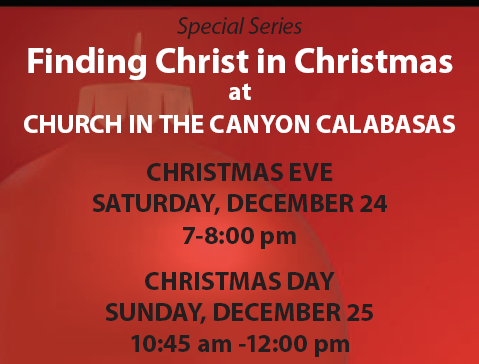 Join us here at Church In the Canyon, Calabasas as we celebrate how God straightened it all out with His simply amazing gift of love to a messy world. Find you way again – join us at Church in the Canyon!